For the last few years, on New Year’s Day, I have hosted an online Mystery Quilting Event, and the quilt for 2016 is Snowflake Serenade. 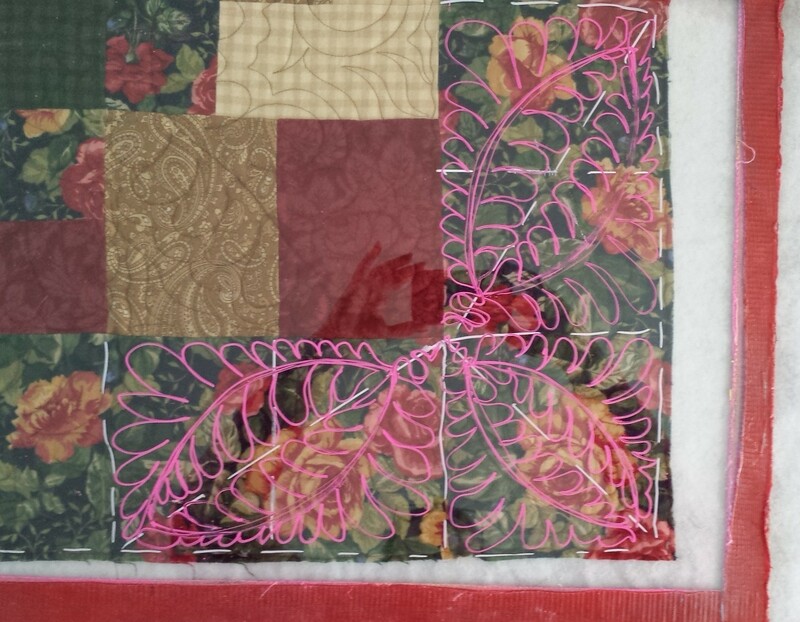 I designed this quilt to match the FREE HAND quilting that will be done on this quilt. The class is open to ALL machine quilters with ANY kind of machine. I actually created the quilting design first, then built a quilt around it! 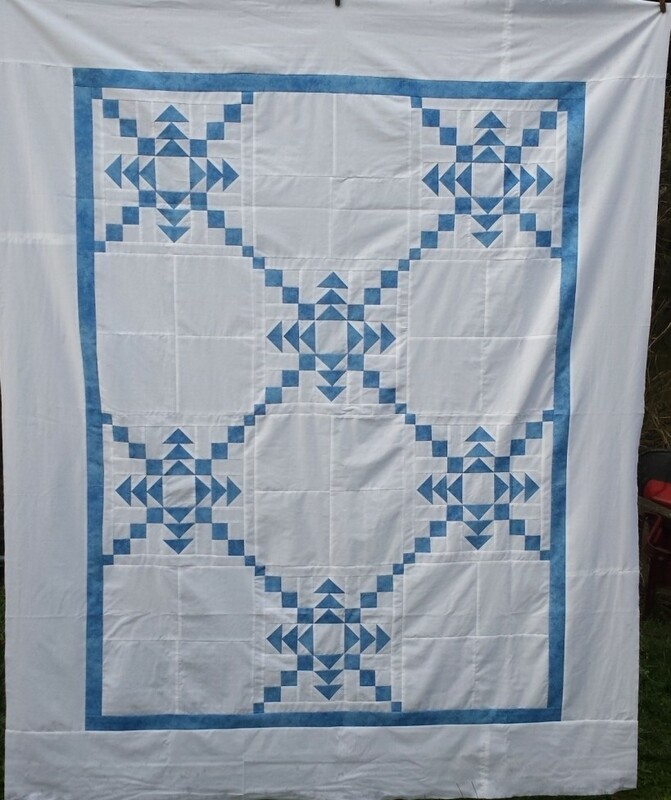 The photo above shows the Lap Size quilt – there are 2 table runners, a Twin Size, and a Queen and King Size quilt included in the piecing instructions. Here is how this Mystery Quilt works. When you register for the class you will get a copy of the piecing instructions – and there is a video on how I pieced this block together. Piece your quilt top, you choose which size, and have it on your quilting machine, ready for quilting on January 1, 2016. About 8 am Pacific Time (maybe a little earlier) the first “Part” of the quilting instructions will be posted online. ( You will be notified via email when the Parts are online.) Throughout the day, about every 2 hours, another Part of the class will be posted. You can follow along with the class instructions and work on your quilt. By the end of the day, ALL the Parts of the class will be posted and you will see the completed quilt! There is also a YahooGroups created for this class – and maybe a FaceBook group too – so that you can “talk” with other students and view photos of their progress. This is a FUN way to start the New Year! I hope to “see” you in class on January 1st!